The following 23 images are a selection of photos from swims at Carnlough Harbour, Brown's Bay and Ballygally Beach (both near Larne). Swimmer Megan McClements daughter Megan jumps off the harbour wall into Carnlough harbour in Northern Ireland. 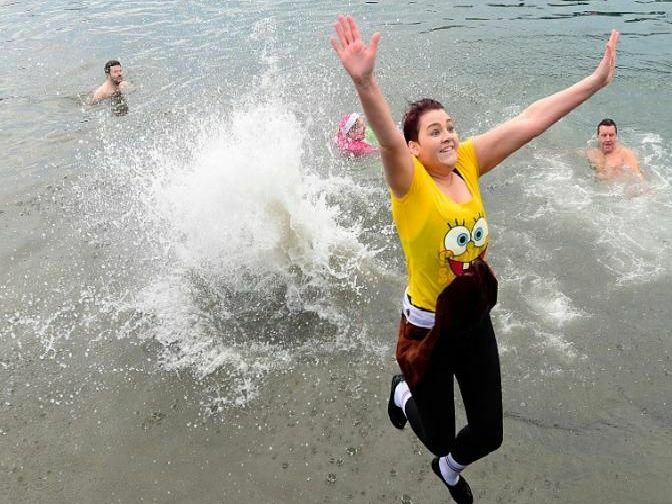 Swimmers jump into Carnlough Harbour in Northern Ireland. Angela McClements debates with herself whether or not to jump in.